The Dangerous Kitchen are indefinable. Your puny human words cannot do justice to their shimmering brilliance. I reached out and got into contact with their self-described resident punched-eclair-faced existential visionary to discuss their upcoming release of De Mambo on the Nintendo Switch, the challenges of being indie developers, and where they see themselves headed. Having read a few interviews, including the most recent and fascinating one by Eurogamer, one constant is your work environment being a very "borrowed" space. In many ways I'd say that even up against "bedroom coders" you all sound like you may hold the title of "most punk rock" indie developers hands down. Assuming you find success with the release of De Mambo will you stay true to the process and working "on location" or will you go traditional and work in a quieter and more sterile setting? SR: Let’s just start by saying thanks so much for granting us such a cool title! As a big Suda51 fan, I’m very much a fan of the “punk rock” school of games design Suda brandishes. It’s something we try and capture with a lot of our design processes which is very rough around the edges and DIY. As an example, most of the sound effects in De Mambo were made using iPhone apps that I recorded from my phone directly into my laptop speaker without using a wire. That gives them a really gritty, lo-fi feel and so if you hate the incredibly obnoxious sounds De Mambo exhibits, blame me! That’s a tough question to answer as there are a lot of benefits to an office but the creative element of being in an open space might be too pivotal to us. We did have a stint in an office for a few months but it lacked the freedom I think we need, as being in a ‘borrowed space’ as you put it keeps you more grounded. But, if we do find an office with a pizza oven and maybe an occult library then yeah maybe we’ll go for it! As you all embraced this journey fresh out of school, and not necessarily having gone through a traditional path to start a video game company, what words of wisdom / advice would you have for other people out there who dream about making games? SR: Well we did decide on becoming a company at University, but it took a few years for us to actually get to this point, so that’s definitely my first bit of advice—if you want it, you’ll have to keep at it. There were so many times we could of quit and moved on, but we didn’t. If you want to make games, you’ll simply find a way. Another great bit of advice is something Alan Moore talks about in that you need to lose the desire to succeed and the fear of failure. By doing this you focus on making something that is pure and true to you. So, use what you have and just do it. Have fun and try not to focus entirely on things that other people do and have done, focus on you and only in what you or your team can possibly create. Looking at the Kickstarter campaign that really got your started, your intention was going to the Sony platforms (including Vita) and PC. At the time the Wii U was presented as a possibility but wasn't the focus. At some point you then obviously ended up on Nintendo's radar and now you're launching as Switch-exclusive initially, then going to the others later. Not sure how much detail you can share but how did that all get changed? SR: So when we actually started, the Wii U wasn’t particularly healthy looking. Don’t get me wrong, I’m a big fan of the console, but from a business perspective it made no sense. With the original prototype of De Mambo, being minimal was our mantra, so we felt the game would be great on a handheld. Since our game was Unity that kept out the 3DS which wasn’t compatible and we decided that the Vita being a strong indie machine would be great for us. Sony had a better reputation with indies and putting a Smash style game on a console which has Smash didn’t seem like the best option, so being with Nintendo wasn’t our intention. It’s funny how that works right? We exhibited at Bit Summit 2016, they liked the game and now we’re launching on the Switch! We changed focus because releasing in the launch period of a new console would yield far more exposure for a new company making their first game. As a group of Nintendo / Smash fans influenced by aspects of their design philosophy, focusing on simplicity and fun over all else, how does it all feel right now? To have your first game released on their brand new, and unquestionably smoking hot, system? SR: Honestly, it still feels like a dream. Just going from avoiding Nintendo, to hearing that they are interested in your game, to then receiving a devkit is so surreal. We definitely haven’t processed it yet, so after we’ve released and we’ve had time to relax, that’s when it will hit us and we’ll most probably explode taking out everyone in our near vicinity. Aside from you all being new to the development process you're also new to the business end things in terms of the networking, marketing, and contract side. What have you learned or what help have you gotten to assist yourselves in navigating that aspect of things, well beyond simply trying to design and implement the best game you can? SR: That’s the conundrum an indie developer faces. How do you make a game and juggle the business on top? Quite simply you just have to find a way and get it done. Personally though, what I’ve learnt is to make everything fun. Writing a press release wasn’t exactly my idea of fun before doing this, but because I make it fun to write, I love doing them. Creativity solves all problems after all. Thankfully, we’ve been incredibly lucky to receive a lot of support from so many different people. We have a friend who’s basically our press mentor helping us out in that department, our neighbor at our first EGX gave us one small piece of invaluable advice for exhibiting—which was simply to go talk to people when they hover about your stand, which increases the chance of them playing your game—and friends and family offering so much support. Having interviewed a few other indie developers to this point the discussion around making and trying to sell a game that is more "visually simple" has come up before. What have you tried to do in order to make the most of your visual style and to attempt to get people to give it that initial chance? At the point they give the game 5 minutes what are you banking on being your best "hook" to get them to see the full potential of the game experience beyond merely what they see? SR: Well, we didn’t concentrate on how De Mambo looks to begin with, as I do feel that imagination is far more empowering to the user. So the idea of something and how it functions in relation to the player was our goal, which we inherently added from the very beginning. How does the player understand it? That’s our main focus when designing. It’s pretty much the Nintendo way. The concept of ‘design expresses function’ that Miyamoto talks about when discussing Mario is how we tried to design De Mambo. 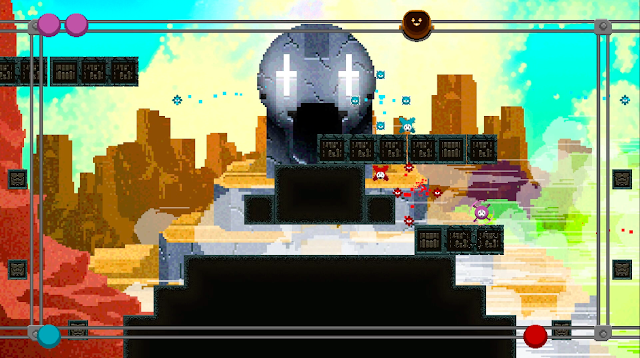 For example the fact that every level is made up of block, that was simply because a player would understand the destructibility of the stages far easier as blocks. So with all that said, playing the game is the hook we rely on, as it’s a game right? Visual hooks will only get you so far. While with the Smash inspiration the game obviously has a significant multiplayer focus you also have a single-player experience and co-op play possible as well. What game experiences would you say inspired the style and play of the modes that aren't just focused on 4-player battles? SR: ‘Solo’ mode was a conundrum for us. 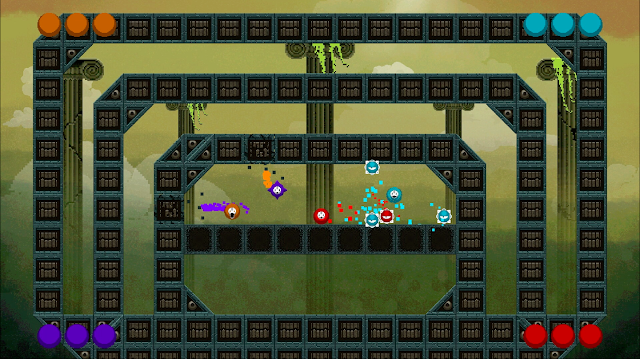 We refused to just make your typical tacked-on single-player mode, as that’s not really our style. We wanted to explore the gameplay we could build around the core of De Mambo and had a lot of crazy ideas but ultimately we toned it down. Super Mario 3D World was a big inspiration as in that game you have the Mystery House’s where you face these short 10 second challenges and it really shows you the imagination Nintendo is capable of. So we combined that with the quick-fire nature of Wario Ware and the towers of Mortal Kombat and somehow made a single-player De Mambo mode that we’re really proud of. Survival on the other hand was very quickly made, pretty much an afterthought that turned out amazing. I think it’s due to the foundation of De Mambo’s core gameplay being very flexible. Obviously, Space Invaders and Galaga etc were the inspiration for ‘Survival’. What would you say, in a game designed with simplicity of control in mind, is the best secret or trick to being successful at the game against your friends? SR: Although the controls are simple, there is still a lot of intricacies to them such as perfect attacks or dashing. Timing is also beneficial, as you can counter someone’s spin attack with a spin attack of your own and even reflect a projectile back. Even mind games come into play as when you’re on the ‘Loser-Rail’ all you have to do is go near someone to make them fear death! So I think the essence of being successful at De Mambo is using what you have in the best way you can. Having followed your Twitter account for a while now I've seen you all go to quite a few trade and industry events. What has the reception been like for you and at those sorts of shows how would you rate the level of enthusiasm for the indie market as a whole as opposed to the big developers? SR: The reception has been great, especially since De Mambo is the type of game that needs to be played to be best understood. Going to events has really helped us out, as obviously that’s how we got on to the Switch in the first place. 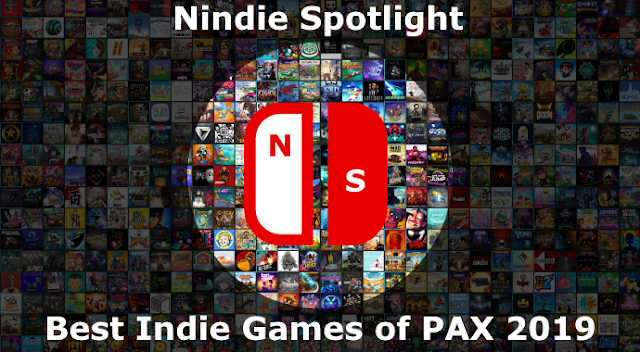 There are so many passionate fans and supporters of indie games you see at these events, so even if there’s less enthusiasm on a grander scale, on a more intimate level it’s far more engaging. Seen as a package, what would you say is the selling point of the game? What gets you excited about playing it and what experience are you most hoping people will walk away from it with? SR: We believe that De Mambo being on the Switch in itself is the best selling point for a multitude of reasons. The fact that the game is a single screen multiplayer game that you can play against people in ‘Mambo’ or with them in ‘Survival’ is completely at home on the Switch. The game controls really good with one Joycon held sideways and since the controls are simple (one button and analogue) it alleviates a lot of cramping—trust me, I’ve tested the solo mode for hours on end! Also the replayability and quick burst nature of ‘Solo’ is great for playing in handheld mode. We just hope that people have fun, as that’s why we made the game in the first place. Having been successful in realizing your initial vision of breaking down a game like Smash to its simplest form, and then working and refining it, do you think there are other popular games you'd like to attempt to do the same thing with next time? Or do you think you'll next look to something more ambitious? SR: That’s a good question! Well, I can’t speak for the whole team, but I’m definitely interested in doing something similar for Mario Kart. I’m a big platformer fan so putting the platformer back in Mario Kart à la the first game is something I’d love to explore. I don’t think we’ll be making our next game in quite the same way, as you have to spice things up and see what new avenues are available to explore. It’s like they say, those who stand still in an expanding universe are moving backwards. Many thanks to Shaun for taking the time to respond to my questions. 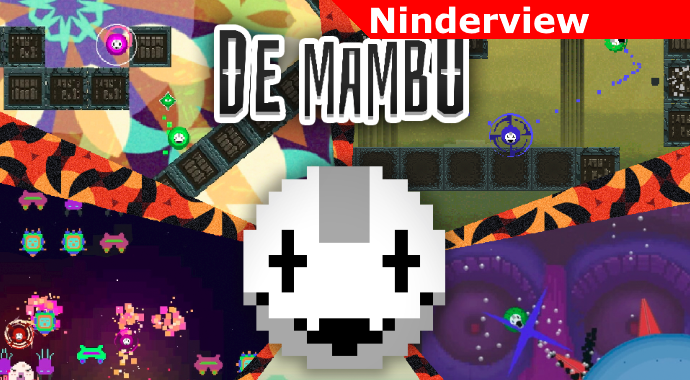 You'll be able to sample their first title, De Mambo, July 13th from the Nintendo Switch eShop!